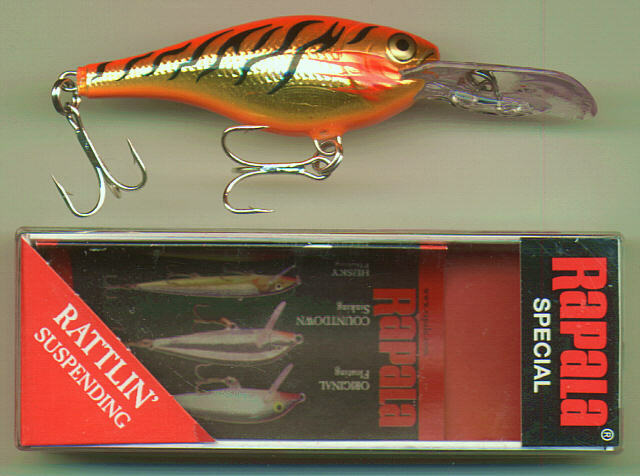 Well not exactly Antiques, this page contains info and images of several new lures added to my Rapala Collection. This first section deals with a couple of Shad Raps. The Shad Rap rattling suspending models or SRRS model line. This Fluorescent Chartreuse Firetiger is a Japan color. 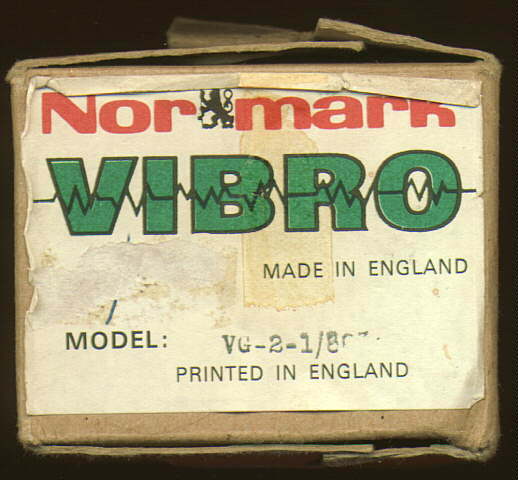 The box is marked special. This Shad Rap.View here.Is a SRRS-5-FRFT. 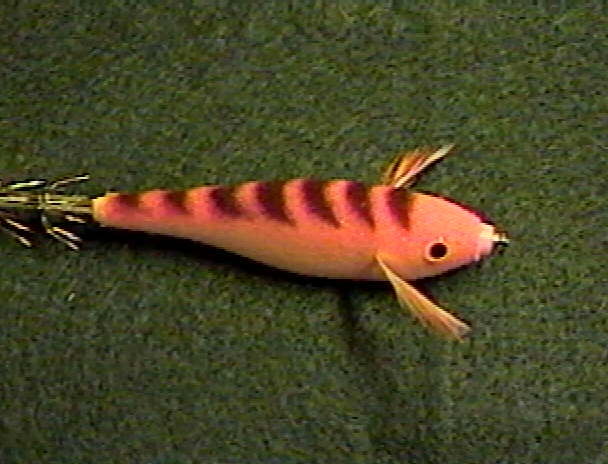 Fluorescent Red Firetiger. Another wild color pattern not offered in the USA. This too is a Japan color. The box too is marked special. below are a few other scans dealing with these Shad Raps. 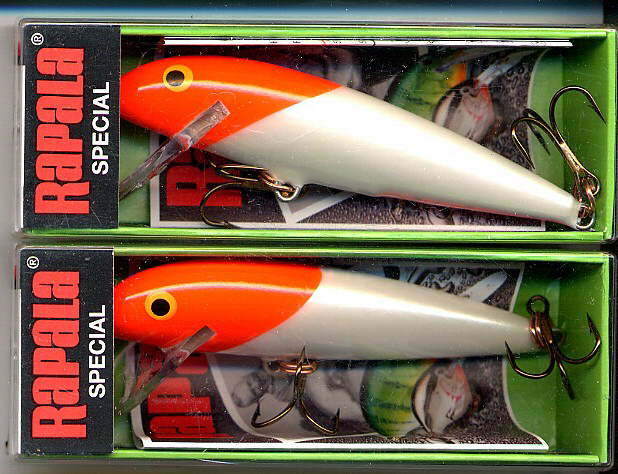 View Here.Image showing both of the Japan Shad Raps RS models. View Here.One side of the paper insert from the above Shad Rap. 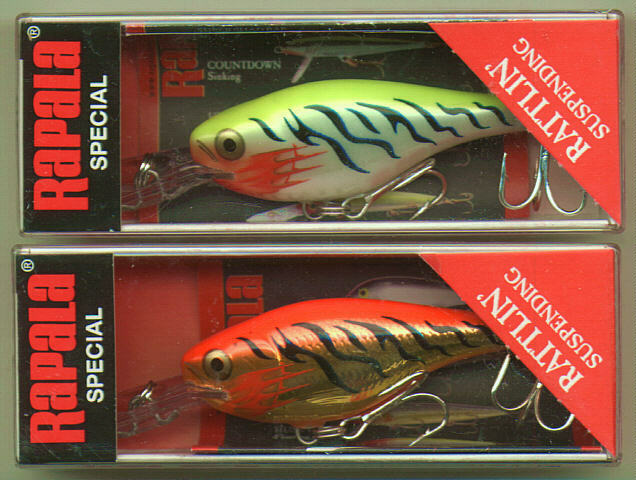 Another one of the "Japan" color patterns in the Shad Rap RS model line. I know of a couple more "Japan" colors. The above lures were a gift to Thebassman's Cove. The web-master can not thank enough the very Special Lady that donated these lures to his collection. Velvet Squid If you haven't read the story of this lure getting into my hands, you need too. (it's on the page before this) This is just one of the color patterns I have in this lure style. 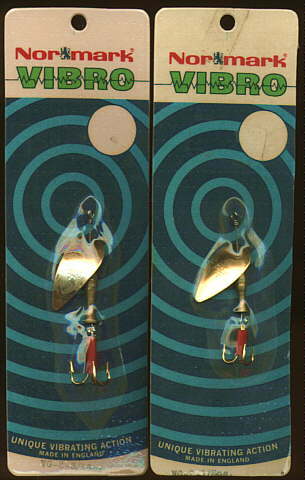 The Velvet Squid is a flocked lure that not only has a rattle but as far as I know of, "The only Rapala model line that glows in the dark." This is a wild looking lure. This has to be the nastiest set of hooks I've ever seen. 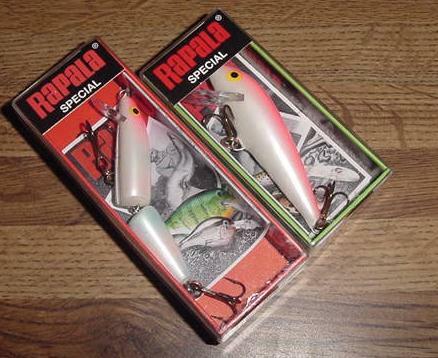 A few more Rapala Specials that I've added to my collection. One of several Countdowns that have been appearing lately. 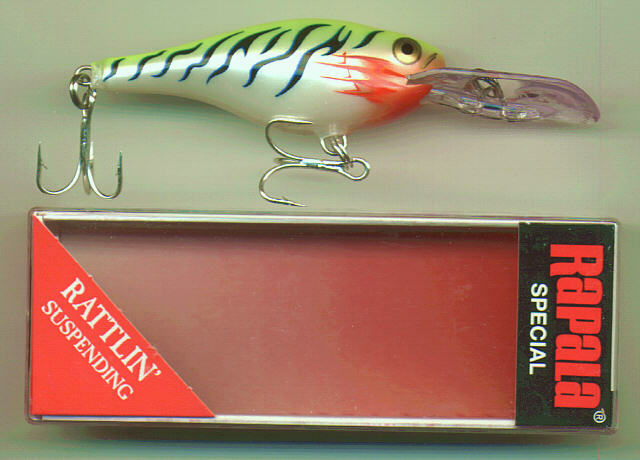 The red on this lure is slighly different than other 'RH' more of a Flo or day-glow. A new Jointed to add to the collection, This is the 'PW' Pearl White color pattern. Another color pattern that I've seen in the "Japan" color codes. I'm not sure if this is the 'AYU' or AYU5 color pattern. 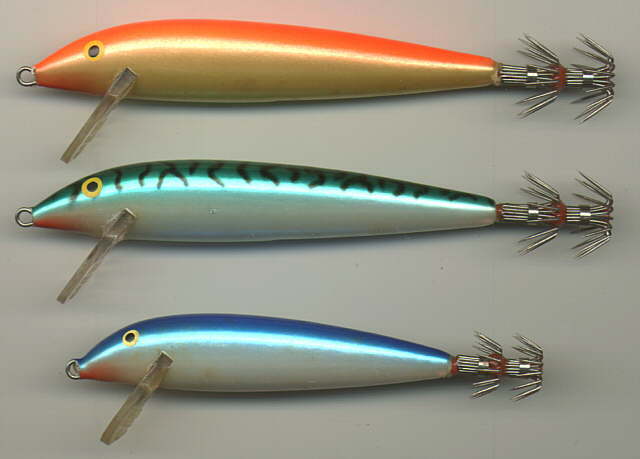 The next scans are of lures I got in another trade, Thanks Jay. 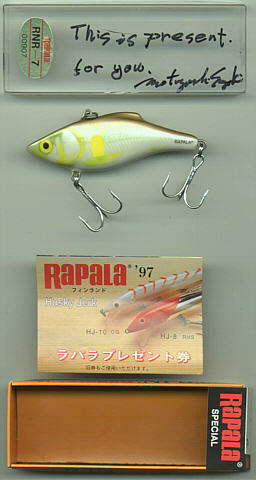 The next lure is one that I got with the "Rapala Bible" book from Japan. A great looking lure from some great People I computer met in Japan. 'Next" will take to the "Project Rapala, Japan Edition" A look at a new book I got from Japan on Rapala's. 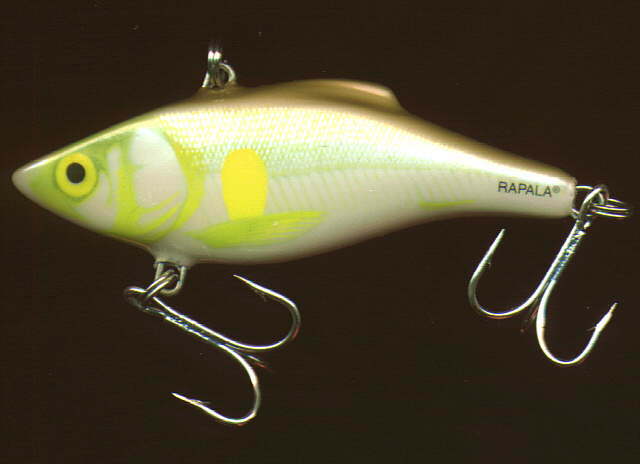 Have an Oversea's Rapala? Contact me and lets see if we can work out a deal. Other than that I hope you enjoyed this new look at a very popular lure company.